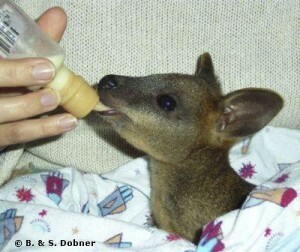 Become a member – Northern Rivers Wildlife Carers Inc.
Brianna, a Swamp Wallaby joey, being fed special milk formula by her carer. She was orphaned when her mother was hit by a car. Brianna has now been successfully released back into the wild. No particular skills or experience are required to become a member. Members can tailor their involvement as they wish. For example some members may only want to support us financially and receive our newsletter, whilst others will want to be involved in rescue and rehabilitation work. Our group comprises people from all walks of life with varying levels of commitments. It is up to each member to decide how much they want to be involved. Volunteer work may involve rescues, transport to vets, short-term holding of an animal, caring for orphaned or injured wildlife, or assistance with administrative or fundraising tasks. Even if you work full-time you can still help should you wish to. a bi-monthly newsletter which features beautiful photos, fascinating stories, and the latest training information. Members are required to abide by the licensing and other relevant requirements of the NSW Office of Environment & Heritage and the Constitution and Policies of Northern Rivers Wildlife Carers Inc as detailed below. To become a member or renew your membership please complete the Online membership form with payment via Paypal or credit card. Alternatively, you can print the PDF Membership Form (click here) and send it with your membership fee to Northern Rivers Wildlife Carers, PO Box 6439, South Lismore NSW 2480. The PDF form can be completed on your computer and printed, but please remember to sign it before you send it in. 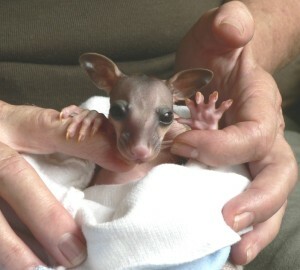 Cheques and money orders should be made out to Northern Rivers Wildlife Carers Inc.